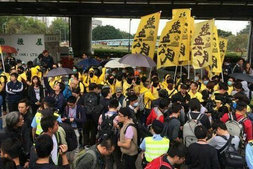 Hong Kong police have arrested dozens after violence broke out during a protest against the rising number of visitors from the Chinese mainland. Charges ranged from possession of weapons to assault and disorderly conduct. Police have vowed zero-tolerance for any violence or disruption of the social order.